After a gap of 6 years and many more journeys looking at Africa through the lens of design ethnography, I sat down to re-read Richard Dowden‘s Africa this past weekend. It moved me to want to write so many times during the read, it’s a wonder I made it through the book before starting this review. It offered me a foundation for understanding context and background, which, perhaps, I wouldn’t have appreciated, back when I first read it more than 5 years ago. I’d only just begun my own explorations of the African consumer market then, seeking to understand the patterns and rhythm of the informal and rural economy. 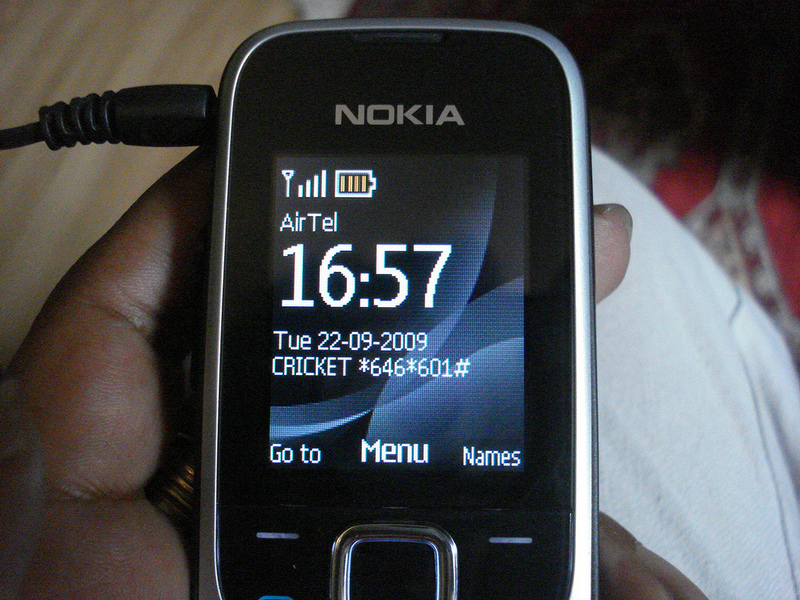 Prepaid Africa was still an exploratory user research project, not the daily deep dive into news and views on the emerging economies of the continent that it is today. Richard Dowden brings something unique to his writing that I rarely come across in global media, a deep respect for the African continent and its peoples. Many will write with love and affection but there’s a nuanced difference when respect, and a touch of unspoken humility, bring to one’s understanding of the other. There was a moment of shock in the beginning, when Dowden writes of dealing with his recognition of the fact that as a mzungu he was always to remain on the outside looking in, kept apart from the “inner mysteries” of the local networks and hidden relationships by virtue of his visible foreignness. It is not until the epilogue, almost 40 years later, that he feels he might finally have passed through that invisible barrier. Shock because I realized that some of those things he called mysteries were obvious to me – the relationships, the networks, the give and take of close knit communities and societies – these are a given part of many non “Western” cultures, learnt and understood at a level below conscious understanding. They are also a tangible part of what makes the informal economy tick, the relationships of trusted referrals and social networks that underlie the formal words of transactions, negotiations, commerce and trade. That was when I settled down the read the book, to learn and understand a world which I might never be able to perceive, from my own perspective. 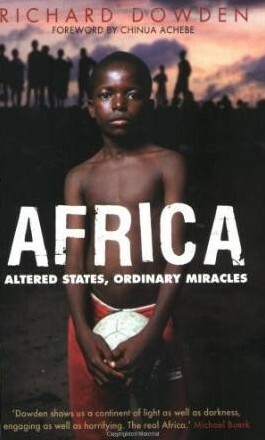 And that is what Africa: Altered States, Ordinary Miracles by Richard Dowden offers you – a clear eyed, lucidly written, easy to grasp understanding of the context for many of the present day issues and challenges we see and hear in the daily news. Governments, geopolitics, socioeconomics, and the Global North’s perspective looking down. He doesn’t hesitate to gently poke at ideology and idealism; everyone’s greed is laid bare, if you can learn to read between the lines. It introduced me to Africa in a way that I’ll never be able to see, yet made me realize that there’s value in the work that I do. For that, I recommend this book as a must read, especially if you’re an African. I read this book in one sitting yesterday. Now I’m here writing on it. 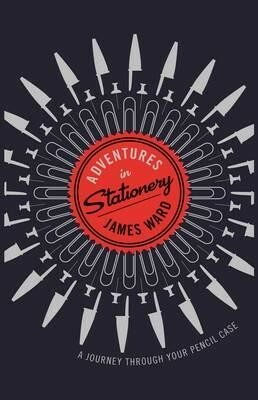 Any adult who’s furtively indulged in scented erasers, colourful gel pens or handmade paper, to be shoved secretly down the lowermost drawer in the desk will love this book. Pens and pencils, paperclips and pushpins. James Ward lovingly describes them all, interspersing a well researched narrative with joke bombs dropped in with the straightest face. My only issue with his writing is that it made me feel old. He writes as though he’s middle aged yet refers to the era when I sat for my O Levels as the dim mists of history. Other than that, go find this eminently readable book. Especially if you’re a designer. Ward knows what he’s writing about and does it engagingly well. Approaching William Easterly’s recent book on foreign aid and economic development challenges in the ‘third’ or ‘developing’ world from the design thinker’s point of view has been an eye opening exercise. Nobel Laureate Amartya Sen has written a mixed review evaluating Easterly’s thesis and approach, while other reviews include the London Book Review’s balanced summation. While written about developmental economics, poverty, foreign aid and the grand plans designed to save the poor from themselves, Easterly proposes an alternate approach based on the principles of the user centered approach to design of systems and solutions. Do exploratory research, understand the needs of the users, observe them and the systems they already have in place for addressing the issue or existing grassroots solutions [jugaad or bottom up innovation], use these as prototypes for the design of replicable successful programs, cross pollinate ideas that work across different regions or countries, adapt programs and plans to local culture and social customs – basically the user centered approach to the implementation of aid programs. Don’t the Searchers – who adapt to local conditions, find out what the reality is at the bottom, obtain user feedback etc – sound just like the ideal user oriented consumer product companies who seek to design and develop products to fill gaps in the market or meet an unmet need, discovered by observation and understanding local culture? Therefore, while I may not be in a position to evaluate his entire thesis on the global developmental economics platform the way Shri Amartya Sen might be able to, incisively, in his review of Easterly’s book, I do conclude that there is a powerful message here that the very same methods and tools that profit making global multinationals are beginning to use to successfully enter new markets, such as ethnographic research and understanding local culture and conditions before launching products or services without a clue, would also be extremely powerful ways for the design and development of a variety of aid programmes that actually respond to the actual needs of the local populace. In his wholesale praise of “searchers” over “planners,” Easterly says, “Planners determine what to supply; Searchers find out what is in demand.” This may be just so, but there is a radical difference (of which Easterly is surely aware, judging from what he writes elsewhere in the book) between the enterprise of supplying “what is in demand” — which is integrally linked to the buyers’ ability to pay — and that of supplying needed goods and services to people whose income and wealth do not allow a need to be converted into a market demand. None of this, however, negates the importance of Easterly’s general praise of searchers. There is much merit in ground-level explorations of what is feasible — even when addressing problems that are a thousand times more difficult than selling Harry Potter books to buyers who are willing and able to pay for them. Information and initiatives have to come from many sources, including the deprived themselves (this is why studies such as Voices of the Poor are so important), and without constant searching for what the problems are and how they can be addressed, global aid efforts end up being far less effective than they could be.